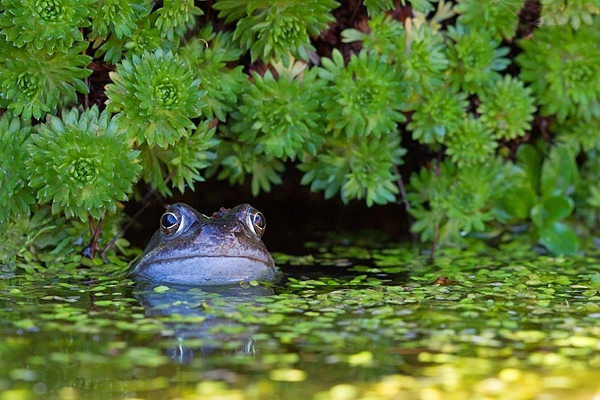 Home | Reptiles & Amphibians | Common frog in duckweed. Mar '17. Common frog in duckweed. Mar '17. Photographed in Duns garden pond,Scottish Borders.